Linux notes from DarkDuck ran a poll recently, where users could name the best article of this blog in 2017. It is time now to announce the results. There were only votes for 2 articles, that's why I will not name any "best" of "runner up". Both of them deserve your attention, and I hope you will enjoy re-reading them both. Enjoy your reading and stay tuned for more interesting articles in 2018! You know that Linux Notes from DarkDuck is not the only project by DarkDuck. 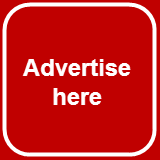 To name just two, buylinuxcds.co.uk and ml.darkduck.com are stores were you can purchase Linux disks, art objects and various merchandise. These projects have recently migrated to a new hosting, which allowed them to switch from non-secure HTTP to secure HTTPS protocols. All your browsing and transactions on those sites are now encrypted and protected by a SSL certificate. 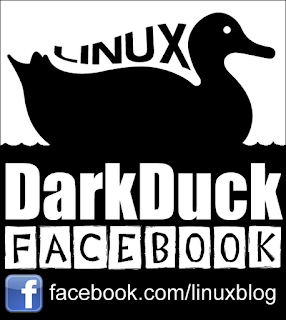 You are more than welcome to visit these sites, Buy Linux CDs and DarkDuckByML, choose your favourite items and buy them! In the meantime, the Linux Notes from DarkDuck blog still remains on HTTP protocol, and I am working on securing it as we speak! It was almost 30 years ago when the first version of Linux came into the market and since then, this operating system has made its important stature beside Microsoft Windows. 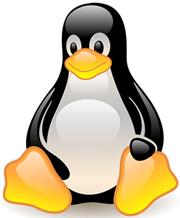 Linux has turned out to be one of the most acknowledged and extensively used operating system. Enthused by UNIX, Linux has smartly managed to attract a lot of tech giants such as Facebook, Google, Yahoo, Twitter, Amazon, and much more. However, when it comes to assessing the exact rate of adoption of Linux in the market, the task is a bit tough since the sources to get copies are wide in number. Appreciating workers' and developers' hard-work, Linux has been designed in such a way that exploring and learning things on this operating system has become quite captivating and enthralling. In this post, let's know more about amazing features and facts of this operating system. Windows today beats almost all the markets thanks to its simplicity and large number of programs and games in a free access. We are used to Windows since there are no compatible systems like Windows. However, it is not true. Only a small number of people might have heard about Linux. This operating system started at the beginning of 90th and quickly gained popularity for supercomputers and huge server rooms. Today, you will actually be able to compare all the advantages and disadvantages of Linux operating system to understand whether it is worth your attention or not. Maybe, you will be even convinced of switching over to Linux after all. So let's start with advantages and disadvantages and then a small summary that I hope will help you to process all the newly acquainted information.